Satoru Iwata says that users should be able to access all of a console's functions out of the box. 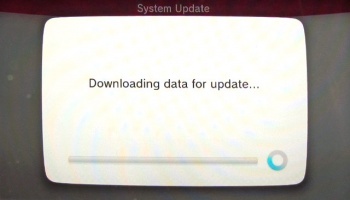 The excitement of bringing home a brand new Wii U would certainly be dampened when you come to downloading a sizeable day-one patch. Nintendo president Satoru Iwata is aware situations like these would be upsetting for any new console owner, and he expresses his own disappointment in a recent interview. "Personally I think that users should be able to use all the functions of a console video game machine as soon as they open the box," Iwata stated. "So I feel very sorry for the fact that purchasers of Wii U have to experience a network update which takes such a long time, and that there are the services which were not available at the hardware's launch." The services bundled in the patch included Miiverse connectivity, the eShop and Wii backwards compatibility. Other apps, such as Hulu and YouTube, arrived several days later. Social TV service Nintendo TVii is set to launch in December for Japan and the US. Iwata added that releasing pre-launch patches for system functionality was a common theme in the industry, but he regretted seeing the Wii U go through the same motions for basic functionality. LA Times journalist Ben Fritz fell victim to the day-one patch when he decided to unplug the device after 15 minutes of slow progress, only to find that he had inadvertently bricked his console.